Michigan City Chamber Music Festival is preparing to expand its highly successful school music programs in the coming year and we hope you will help make that happen. We are all aware of the fiscal constraints that our schools are under, and that arts and music programs are frequently the first to be scratched. 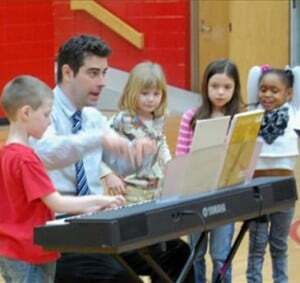 But we are also aware of the great importance of music for the development of children’s minds. Kids exposed to music education and training will have improved grades in school, are happier people and get into less trouble. Festival musicians who participated included concert pianist, Robert Auler, violist and composer Rudolf Haken from the University of Illinois and operatic soprano, Kimberly Jones who is from Michigan City. It is a goal to raise more funds and expand the program to include many more children. For 2014, the Board of the MC Chamber Music Festival has committed to have the seed money of $2,000. Our goal is to find matching contributions from donors who understand the importance of exposing children to quality music. Without this program, school children in the community will not have a the experience of an intimate live performance where they can ask questions and learn more about an individual artist in their own school setting. 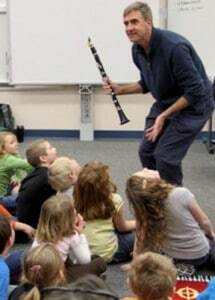 It is the perfect way to expose children to the rich music heritage that is in their community. MCCMF | P.O. Box 894 | Michigan City, IN 46304 or making an online donation.